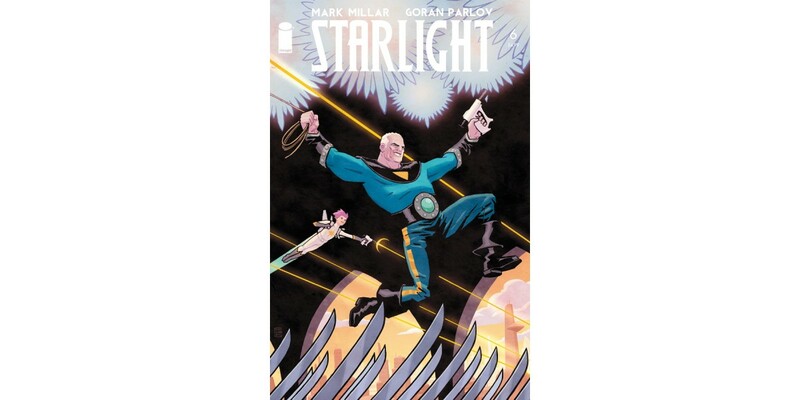 Bestselling writer Mark Millar (JUPITER’S LEGACY) and artist Goran Parlov (Fury MAX) team up for the show-stopping final installment of the hit series STARLIGHT, featuring an epic conclusion and a variant cover by the renowned Cliff Chiang (Wonder Woman). In issue #6, Duke, Space-Boy, and their rebel friends face off in their final, defining battle against the Brotean regime. But there's been a traitor in their midst, and their plans aren't all they're cracked up to be. It's not only their lives in the balance, but the future of the entire planet Tantalus. Readers won’t want to miss out on this out-of-this world space adventure’s momentous conclusion and the shocking twist that will end the series with a bang. STARLIGHT #6 hits stands on October 15. Cover A by John Cassaday can be pre-ordered with Diamond Code JUL140577. Cover B by Cliff Chiang can be pre-ordered with Diamond Code JUL140578. The final order cutoff for retailers is TODAY.